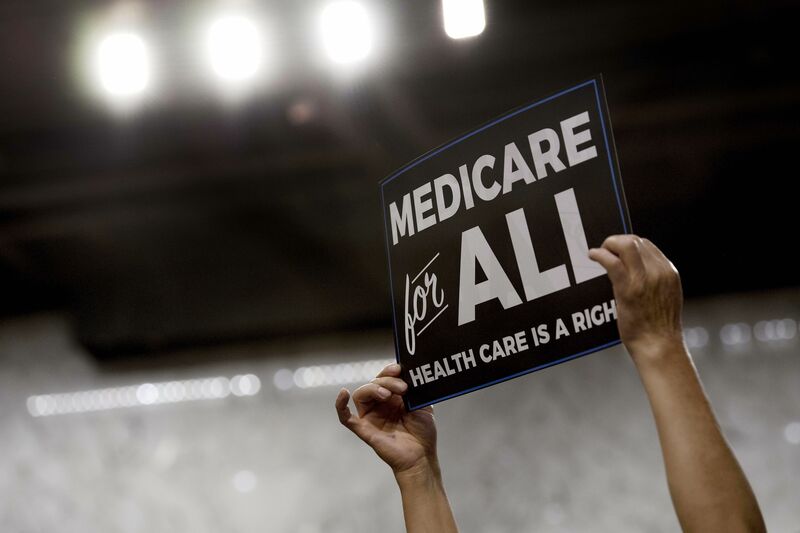 Medicare for All, one version of a single-payer health care system for all Americans, has become a mainstream part of the political conversation as Democratic candidates gear up for the 2020 presidential election. While advocates for this approach say it’s fair and simple, critics say it would be expensive and coercive, said Joanne Kenen, executive health care editor at Politico, who has covered health policy and politics in Washington for more than 20 years. Kenen was joined by Benedic Ippolito, a research fellow in economic policy at the American Enterprise Institute, and Dr. Adam Gaffney, president of Physicians for a National Health Program, to discuss how journalists can cover the growing debate. Medicare for All “has changed the dialogue about where we could go as a country,” Kenen said. Before covering Medicare for All or related policies, Kenen stressed the importance of learning the lexicon. “As you interview people, make sure you’re not using terms interchangeably that are not the same thing,” she said. “Medicare for All” is only one type single-payer plan, even though it’s the dominant one being discussed in Washington, D.C. right now. The term doesn’t necessarily mean opening up the current Medicare system for older Americans to everyone, though. Many Medicare for All advocates are pushing for a new health care system for everyone they’re calling Medicare, she said. Single-payer is a broader term that simply means there is one payer of health care bills. Not all single-payer systems are Medicare for All, though Medicare for All is an example of a single-payer system. Finally, universal coverage refers to the goal of insuring everyone in the country, though it can be achieved in many different ways, including through a mix of public and private payers, as we have now. Kenen also pointed out that single-payer plans are not always free — some models include patient fees. Gaffney, the president of Physicians for a National Health Program, pointed to four key reasons why Medicare for All would be an improvement on the current system. For one, it tackles the problem of the large number of people who are still uninsured, a number that’s expected to rise even without any administrative moves from Trump. “That’s a real problem … and it has clear health impacts,” he said. Even among those with insurance, there’s still the widespread problem of underinsurance, in which people face burdensome out-of-pocket costs and high deductibles. As deductibles soar, more and more people are likely to incur medical debt and skip care because of costs. There’s also the issue of discontinuous coverage, which happens when individuals with insurance switch plans and face gaps in their access to care. Finally, Gaffney argued there would be a significant reduction in administrative waste such as insurance overhead and profits and hospital billing with a single-payer system. Ippolito of the American Enterprise Institute provided a more skeptical perspective of Medicare for All. Raising enough money through taxes to cover everyone in the country would be “a fairly Herculean effort,” he said, questioning what kind of taxes and debt would be required to finance such a system. “If we can’t raise the money in a hypothetical world, it seems very hard to imagine we would be able to do that in the real world,” he said. Another financial hurdle: Private insurance often subsidizes Medicare’s lower reimbursement rates, helping fund facilities, equipment and innovation. Even though a single-payer system could save administrative costs, those extra funds wouldn’t be enough to offset the loss of higher reimbursements to providers. “Large payment reductions are going to have an effect,” he said. Ultimately, what happens if the single payer plan evolves into something Americans don’t like? Currently, many people have the option of switching health plans if they don’t like their current coverage. “There’s a real value to choice,” he said. Journalists might be accustomed to thinking in terms of the insured or uninsured, but increasingly there’s “the gray middle” of underinsurance, Kenen said. “People might not even know how underinsured they are until they get sick,” she said. She suggested reporters delve into the obstacles people encounter when they get sick and confront the limits of their policies. How did they first find out? Another story idea: Look into what states are doing to protect or undermine coverage, especially in light of growing threats to the Affordable Care Act. Physician attitudes are also worth exploring. Are younger physicians open to something resembling Medicare for All? Are older physicians disillusioned with the current system? In interviewing people, Kenen emphasized the importance of pushing sources to explain their positions and clarify exactly what they mean when they use lingo like single-payer or Medicare for All. Ippolito also suggested asking interview subjects about the weaknesses and tradeoffs of the ideas they like best. “You might get some illuminating insights,” he said.